Seahawks mailbag: Do players like the franchise tag? Should Seattle pursue Landon Collins or Antonio Brown? And could the Seahawks consider a kicker in the 2019 NFL Draft? The NFL combine is over, free agency will officially begin next week. That means there’s a lot of good questions out there about the Seahawks, so let’s get to them in our latest mailbag. This is a mix of some questions asked via Twitter and e-mail. You can ask yours via Twitter at @bcondotta or via e-mail at bcondotta@seattletimes.com. Q: As I’m new to this, what is the franchise tag and why would they use it? Do players generally not want it?? A: This is a good question given that the Seahawks had not used the franchise tag since 2010 on kicker Olindo Mare before placing it Monday on Frank Clark meaning Seattle fans may not have had much familiarity with the tag. The basics of the tag is that it is a method by which teams can keep one impending free agent a year from entering free agency by tagging him and then giving him a one-year guaranteed contract that is an average of the top five at his position or 120 percent of his previous year’s salary, whichever is higher. SI.com published a good piece on the history of the tag last year, and I can’t really do it better than that. Here’s another good primer on it from NFL.com. The really simple version is that it was instituted in the early ‘90s as a way for teams to keep one player a year for one more year, if they wanted, while still trying to work out a longer-term deal (as that story details, the original impetus was the Broncos wanting to keep John Elway and the original thought was it would usually be used on quarterbacks). As for your question on players not wanting it, I’m remembering that one NFL agent once described the tag to me as a failure in negotiating that leaves neither side satisfied. True, the player gets a big, one-time, guaranteed payment and in Clark’s case that’s really significant — he’s made less than $4 million in his NFL career to date and now will get $17.128 million for the 2019 season (an amount officially confirmed by the NFL Tuesday). But he doesn’t get long-term security and the really big deal that is the goal of all players — no one really celebrates getting the tag, not like the press conferences typically held when a guy re-ups for four years and $75 million and $50 million guaranteed or something, which is probably along the lines of what Clark wants. For the team, some of the same is true — Clark’s long-term status with the Seahawks remains unsettled, they also have to take all of his 2019 salary on their salary cap (a long-term deal would likely backload it more and allow for a lower number now) and there is the possibility of dealing with an unhappy player (though Clark’s tweet about this Monday night indicated he’s understanding of the process). But all of this is assuming the two sides don’t work out a long-term deal before the season. And that’s worth remembering —- this is not set in stone. The Seahawks and Clark have until July 15 to work out a contract and it’s known that talks will continue toward that goal. But if there is no deal by July 15, then Clark has to play on the tag in 2019 (or sit out, if he wants, but that wouldn’t seem to make any sense in his case) and the two sides cannot talk again until after the season. In that sense, the tag is in many ways just a way to buy some time. But players tend to view it as favoring the team because it prevents the player from really entering free agency and testing his market. In Clark’s case, Seattle used the non-exclusive tag, which means he can talk to other teams but Seattle can match any offer or get two first-round picks as compensation if another team signed Clark and the Seahawks didn’t match. The tag hasn’t been used a lot in recent seasons — five times each of the last two years. Of those 10 players, three signed long-term extensions (though one, receiver Jarvis Landry, was traded from Miami to Cleveland before he signed) while the rest played that season on the tag. It was used six times this year, five on defensive linemen or edge rushers, showing both the value of that position right now and also that each side may be having difficulty figuring out the market — there’s a perception that none of the tagged edge rushers want to sign first and then be passed by later. It’s a story that’s not over yet. Any chance SEA pursues Collins? Or, they think they are set with Thompson and McDougald? A: I’d doubt it. The Seahawks’ salary cap is going to go more quickly than you might think in trying to retain their own guys and set themselves up for extensions of Russell Wilson, Bobby Wagner and Jarran Reed down the road (assuming they plan to do all of those this year at some point). Landon Collins has been one of the best safeties in the NFL the last few years, no doubt, making the Pro Bowl each of the last three seasons with the Giants, who decided on Tuesday not to tag him, making him a free agent. But Collins is considered more of a “box” or strong safety and I’m not sure that’s something the Seahawks think they have a huge need for given what else they have to do this offseason. Pete Carroll seems really high on Delano Hill — he talked about the improvement he expects Hill to make next season last week at the combine — and Seattle could go with him at strong safety and pair him with Bradley McDougald if they want, a duo they saw in two late-season games and seemed to like. Or they can still go with the Tedric Thompson/McDougald pairing that they went with most of last season. I know some fans may have a pessimistic view of Thompson and Hill, but I don’t think the Seahawks are ready to give up on those guys yet, especially to pay big money to a free agent (something that Seattle has had mixed results with when it comes to the secondary, anyway). To me, what makes more sense there is drafting a safety and signing a mid-tier vet to a much-lower safety, ala how they got McDougald in the first place two years ago (a one-year, $2 million deal) than investing big money in Collins. Do you expect the Seahawks to invest a late draft pick on a Kicker? A: No. Seattle has just four picks at the moment — I know, I know, we all expect them to trade down to get more. Still, draft capital may be at a premium for Seattle and unless they really find someone they think could be a decades-long difference-maker — as they did with punter Michael Dickson last year — I’m not sure that’s what they are going to feel they need to do. Teams generally have just as much success finding rookie kickers among the undrafted free agent pool than anywhere else (and how it can be to judge kickers is evidenced by Seattle’s decision to waive Jason Myers and keep Sebastian Janikowski. Myers went on to make the Pro Bowl with the Jets and now will be one of the more sought-after veteran kickers available in free agency). NFL Network draft analyst Daniel Jeremiah said in a conference call last week he would generally advise against drafting a kicker. It’s also worth remembering the Seahawks do have a kicker on the roster in Sam Ficken, who spent parts of the past two seasons with the Rams. Ficken hasn’t done a whole lot but as Myers showed last year — he’d been cut in the middle of the 2017 season by Jacksonville — you never really know with kickers what you are going to get. Love love love Baldwin, but last season made clear he's entering twilight of career – Hawks have cap room to pursue Antonio Brown and Carroll is used to managing high maintenance players. Thoughts? A: I agree with you that Seattle is going to have to deal with life after Baldwin sooner rather than later — in fact, I wrote about that in my recap of the combine last week. 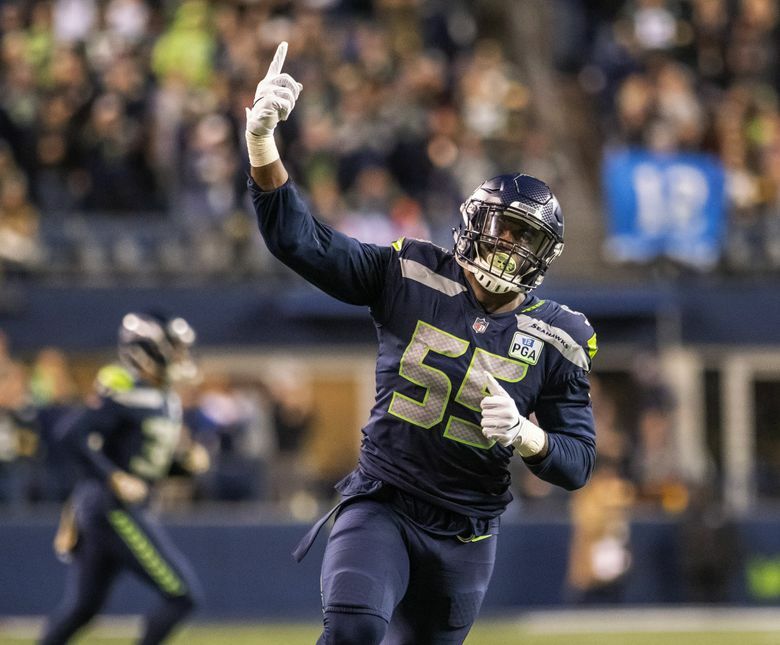 With his advancing age (turns 31 during next season), injuries (he had surgeries this offseason on his shoulder and knee and the word is the knee remains a particular concern to see how he recovers from that) and salary (cap hits of $13.1 million in 2019 and $14.1 million in 2020 the latter with Seattle able to save $11 against the 2020 cap if he is released), the 2019 season could well be his last as a Seahawk. So I fully expect Seattle to go aggressively after receivers this spring, via both the draft and free agency. But I’m not sure paying the kind of money Brown is going to want is going to be the way to go — Brown is already averaging $17 million per year and is going to want more than that with a new team. To me, the only logical way you could take on that much receiver at salary now would be to get rid of Baldwin, who because of what was discussed above — age, injuries, contract — wouldn’t likely be easy to trade, meaning instead just releasing him. Is that a tradeoff anyone wants to make just yet? And Jason La Canfora of CBSSports.com also reported earlier this week that the Seahawks discussed Brown but have decided not to pursue him. Here’s the kind of guy that might make more sense — Tyrell Williams of the Chargers. He’s 6-4, so he’d be the kind of big receiver they need far more of, and has been explosive (16.3 yards per reception in his career) and had a big season three years ago with 69 receptions for 1,059 yards. He’d still cost a big — Spotrac estimates his value at $9.6 million a year — but that’s more economical than Brown. Will Kam hang around again in an advisory/coaching role?? A: I doubt it. Not immediately anyway. We asked that question of Seahawks GM John Schneider last week at the Combine when he said that Chancellor will almost certainly be released before the 2019 season. Schneider said Chancellor would be welcome but that he’s “just trying to figure out.” Chancelor has made a lot of money, has a lot of other interests and ay not want to work all the 12-14-hour days that coaches do for much of the year. But I’m sure he’d always stay in touch with players he knows and offer tips as he sees fit. Rather than another speed/edge rusher, don't the Seahawks need someone a little bigger that could be a 3 down DL? These 240 lb DE's aren't going to hold up on running downs. A: I don’t think anyone has said they don’t need that, either. But there appear to be a lot of really good edge rushers in this draft, and I think Seattle has as much of a need there as anywhere. Run-stuffing guys tend to be easier to find in later rounds. Three-down DTs are simply really hard to find at any time and the really good ones in this draft igure to be gone by the team Seattle picks. But for sure, if a guy like Jerry Tillery of Notre Dame is there when Seattle picks, I think they’d definitely consider it.